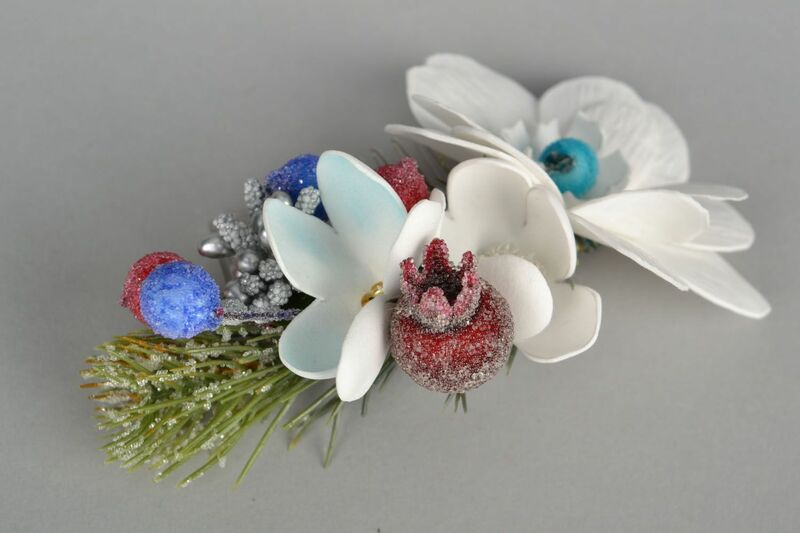 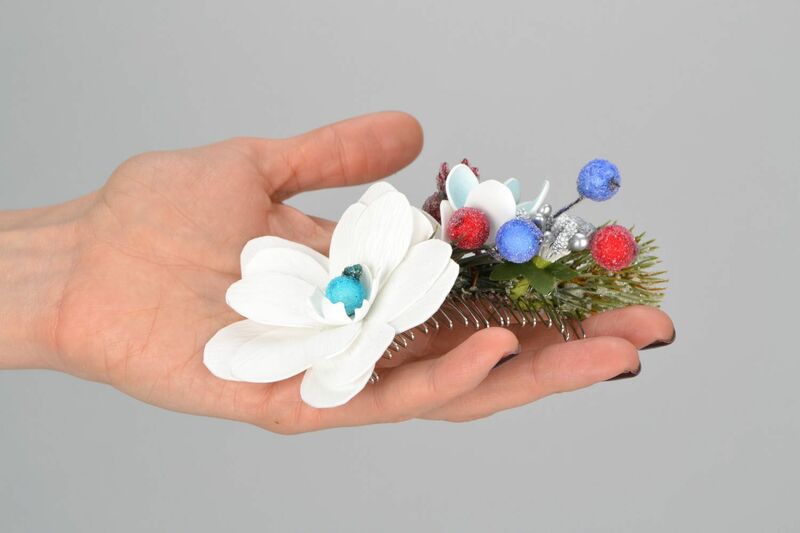 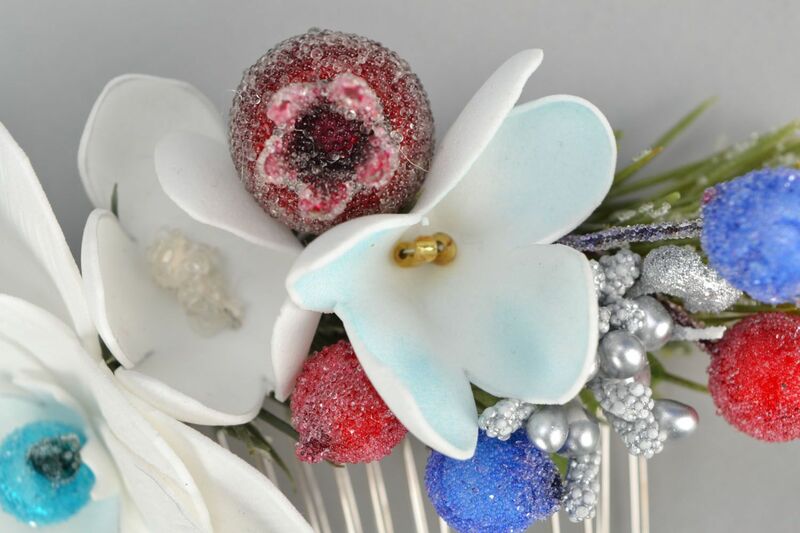 The original flower comb is decorated with EVA elements, artificial branches and berries. 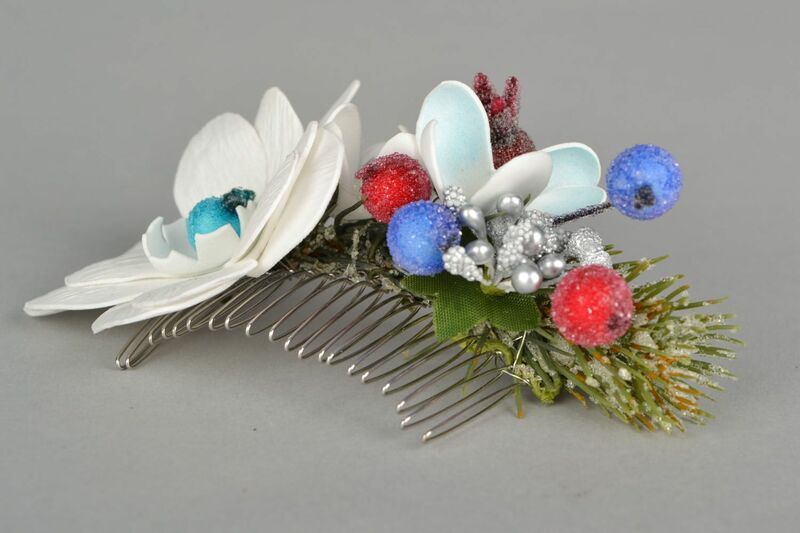 The basis of the item is metal. 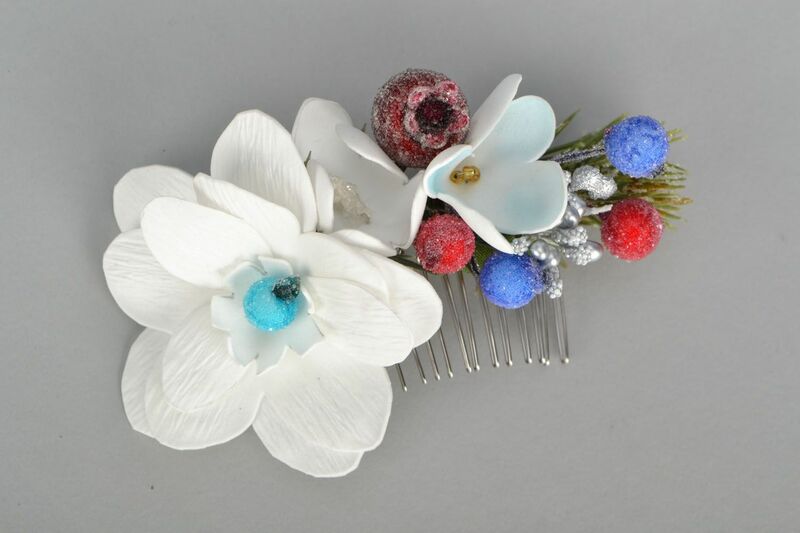 This handmade comb will help you to create a spectacular hair style for an office party or any other event.